White Gold Wedding Ring Beaute. 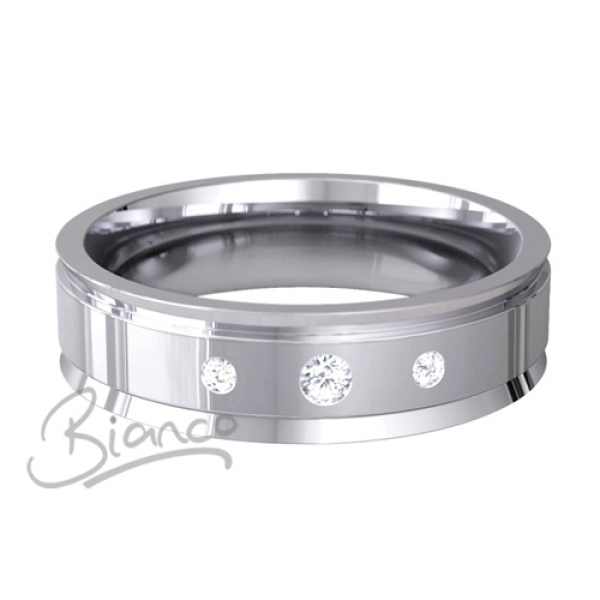 Beaute is a designer patterned Flat Court Diamond Ring in 5 or 6mm. The border of this higly polished ring is milled below the surface of the band, tapering over the edge. A central 5pt diamond lies between 2 x 3pt diamonds.